Home to rooftop swimming pools, sunflower gardens and plenty of other great attractions, there’s most certainly more to Changi Airport, Singapore’s primary airport, than first meets the eye. Whether you’re set to explore the city state or are just passing through, you’re sure to find more than enough ways to pass the time and enjoy a taste of what makes Singapore so unique. Located in Terminal 1, Changi Airport’s outdoor swimming pool is the perfect place to unwind, get active or simply soak up some sun. Overlooking the runway and aircraft parking bays, there’s no better place to watch on as planes from across the globe touch down on the tarmac. Entry to the pool also includes the use of shower facilities, the use of a towel and a complimentary non-alcoholic drink at the poolside bar. After spending several hours travelling, there’s nothing quite as nice as enjoying some time surrounded by beautiful blooms. 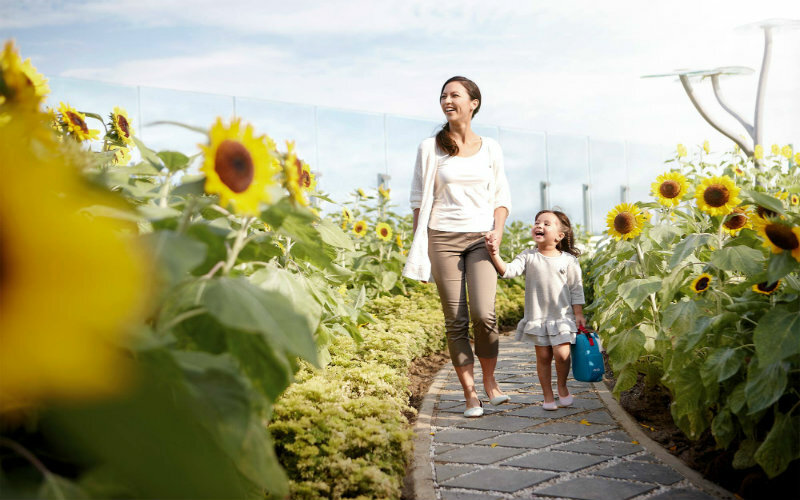 There are plenty of options for those looking to get in touch with nature at Changi Airport, with a water lily garden, a cactus garden, an orchid garden and a sunflower garden scattered throughout its terminals. Expertly landscaped, the gardens offer plenty of opportunities to see plant species from across the world on show. Sunflower Garden, Changi Airport, Sinapore. Image Credit: Changi Airport. Measuring in at 12 metres tall, the equivalent of 4 storeys, The Slide @ T3 takes out the title of the world’s tallest slide located within an airport. Perfect for younger travellers, as well as the young at heart, the slide is a great way to pass some time during an airport stopover. For every SG$10 spent in the airport, travellers are able to redeem one ride on the slide. Height restrictions mean that riders must be between 1.3 metres and 2 metres in height. Travellers with a stopover of 5 hours or more are welcome to join a free 2 hour sightseeing tour showcasing some of Singapore’s best assets. 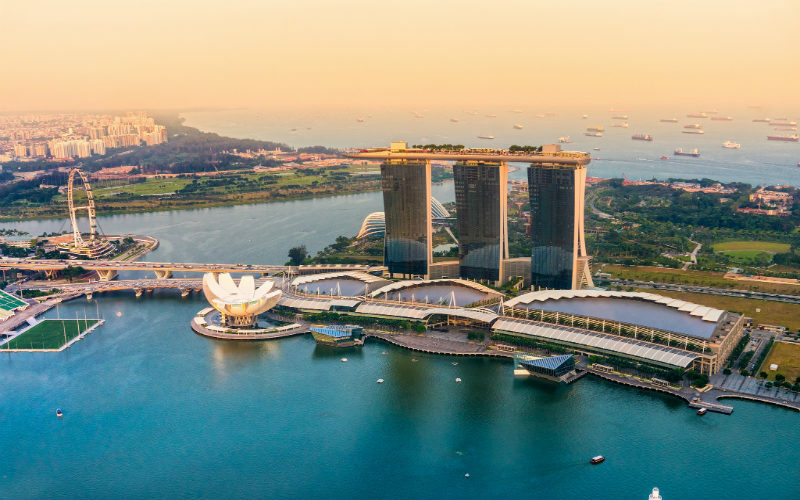 Departing from Changi Airport 4 times a day, the tour is a great opportunity to see some of Singapore’s iconic sights and enjoy a taste of the city state’s multicultural society. Flying can be a tiring business, especially if you happen to end up next to a crying baby or chatty traveller. If you have time to spare during a stopover, make your way to one of Changi Airport’s free-to-use rest areas and catch up on some sleep before the next leg of your travels. Complete with comfy seats and lounge chairs, there are plenty of rest areas scattered between Terminal 1, 2 and 3 that are ideal for a few moments of quiet time. 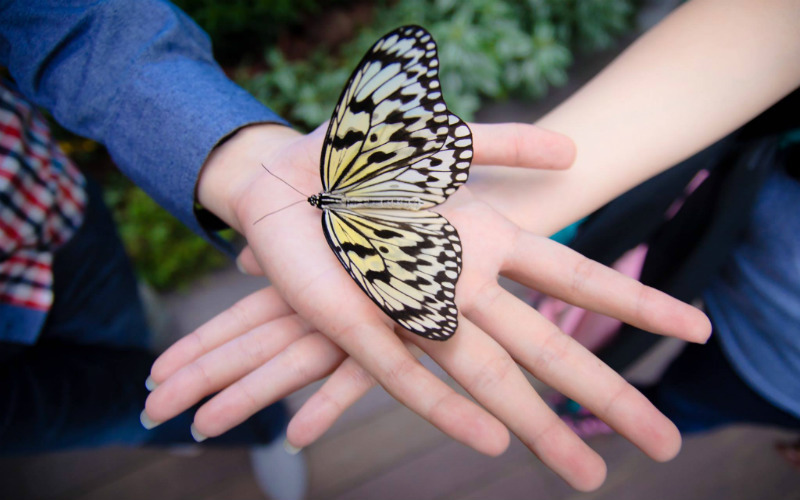 For an airport experience unlike any other, Changi Airport’s butterfly garden is the perfect place to start. Witness the various stages of the butterfly life cycle, see butterflies feeding or simply take a moment to admire the beauty of the spectacular insects. Found in Terminal 3 and home to around 1,000 butterflies from up to 40 different species, the indoor garden has been beautifully landscaped with flowers, tropical greenery and a 6 metre tall waterfall. Butterfly Garden, Changi Airport, Singapore. Image Credit: Changi Airport. Screening films from a wide variety of genres, the airport’s cinemas are perfect for catching up on the latest releases, entertaining the kids or simply filling in some time between flights. See everything from children’s movies and comedies through to the newest dramas and action films. Situated in Terminal 2 and Terminal 3, the cinemas are open 24/7 and host free screenings. While airline meals might be enough to tide you over between airports, there’s nothing quite as satisfying as a serving of freshly cooked food. 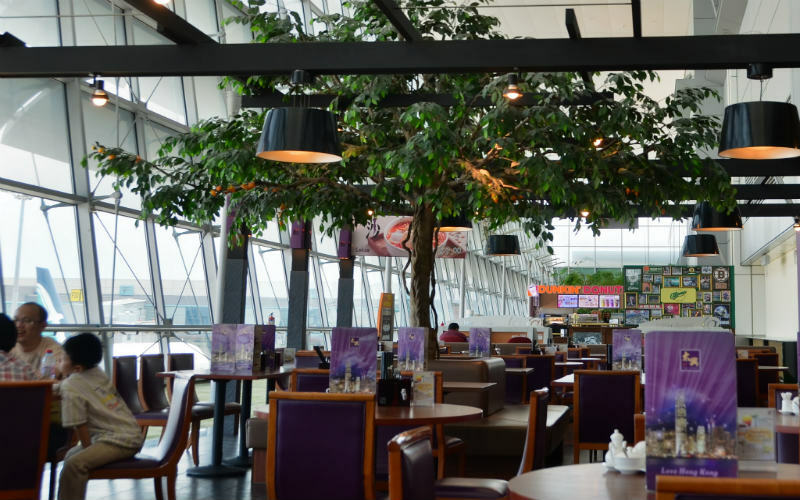 Home to a variety of restaurants, fast food chains and bars, there’s plenty of great dining options offer at Changi Airport. Sink your teeth into Chinese fare, sample Singaporean cuisine or enjoy a taste of one of the other flavour sensations available. Scattered throughout Terminal 1, 2 and 3, you’re sure to find more than enough places to satisfy your hunger. Restaurants at Changi Airport, Singapore. Image Credit: Robert Schrader. From Bally and Billabong through to Burberry, Coach and Prada, there are plenty of opportunities to enjoy a touch of retail therapy in Changi Airport. Splash your cash on high end designer wares, stock up on basics from Cotton On and Uniqlo or shop for souvenirs to remember your time in Singapore. Whether you’re wanting to spend big or are looking to simply spend time window shopping, there are plenty of great retailers set within the airport. Travelling, uncomfortable plane seats and long stopovers can all take a toll on your body, so take some time out to ready yourself for the next leg of your journey with a spot of pampering. With a number of beauty and health spas located in all terminals, there plenty of great treatments to experience, from traditional massages through to the less conventional fish spa treatment. Rainforest Lounge at Changi Airport, Singapore. Image Credit: Changi Airport. Planning your own trip to Singapore? Find and compare cheap flights and hotels with Webjet. Featured Image: Changi Airport, Singapore. Image Credit: William Cho.